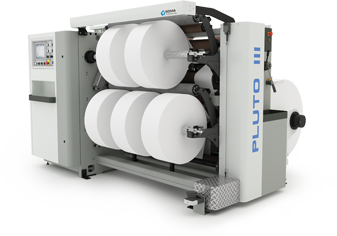 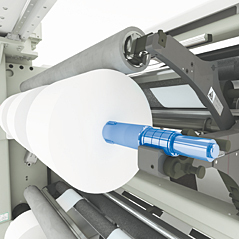 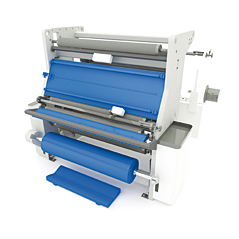 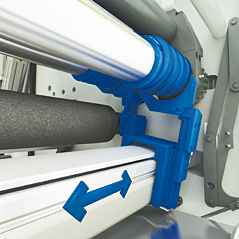 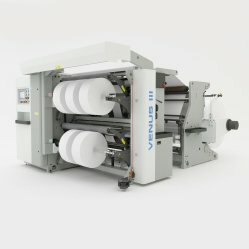 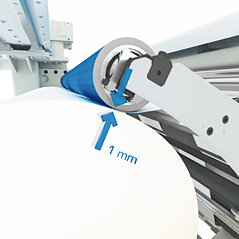 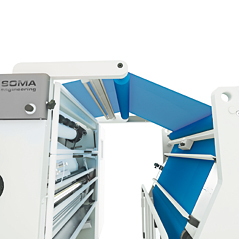 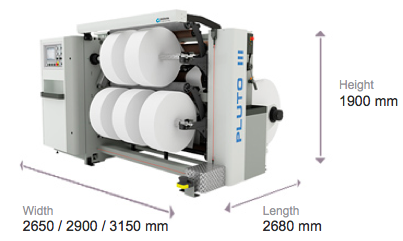 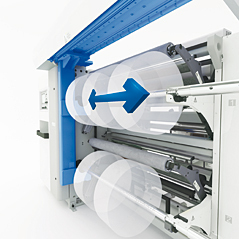 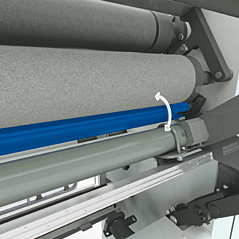 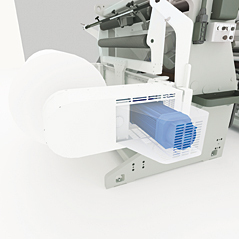 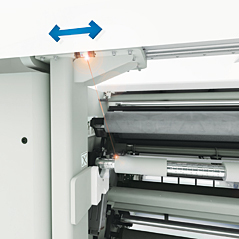 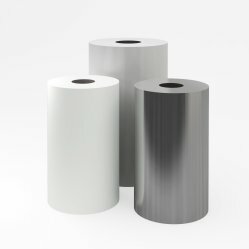 The PLUTO III Slitter Rewinder with integrated unwind unit offers mid and wide web printers and converters a cost effective solution for slitting a wide range of substrates. 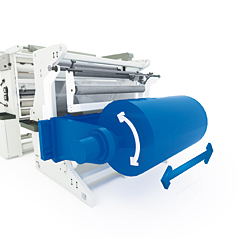 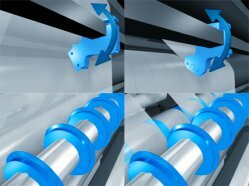 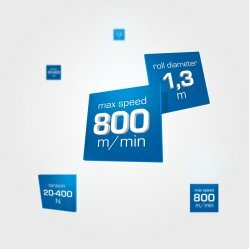 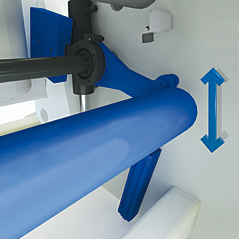 High efficiency is achieved through shaft-less unwind, higher operating speeds, larger unwind and rewind roll diameters, enhanced operator friendly concept and powerful slit edge removal system. 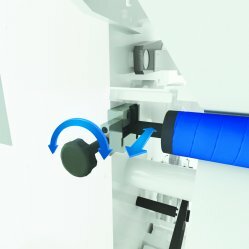 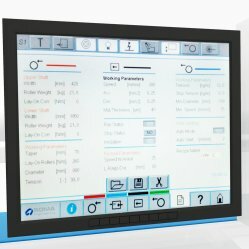 Rigid construction and automatic knife positioning complete a package of features normally only found on more expensive models.